Bunghatta.ac.id. Two Bung Hatta University students namely Syakina Ahdanisa (Accounting 2015) and Rilanda Novotni (Development Economics 2015) succeeded in entering the finalist proposal for the Asian Business Plan Competition 2019 entitled Consultans Private Online (CPO). 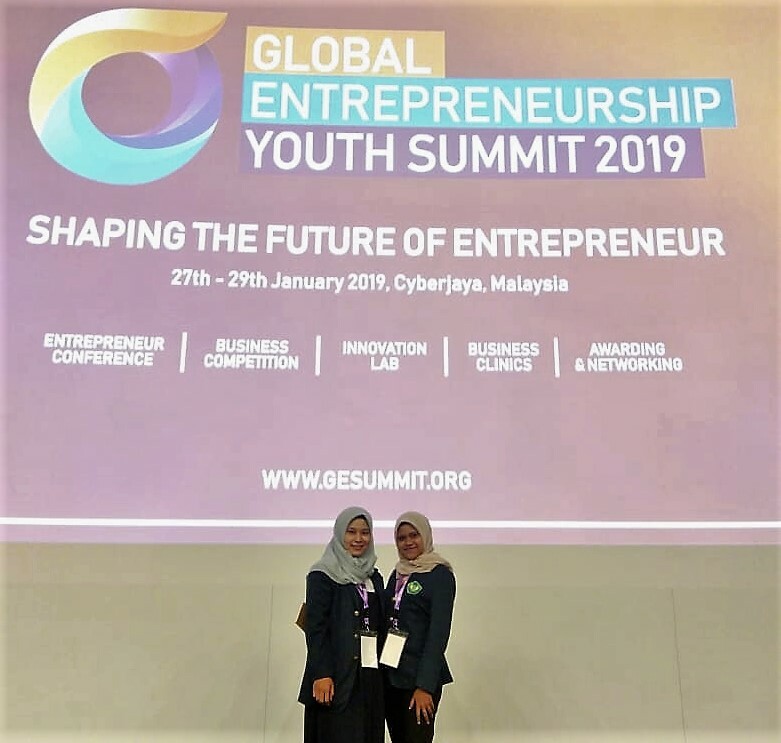 This activity was organized by the Global Entrepreneurship Youth Summit 2019 with thamed �Shaping the Future of Entrepreneur� at the Malaysian Global Innovation and Creativity Center (MaGIC) Malaysia on January 27-29, 2019. The activity of the 2019 Global Entrepreneurship Youth Summit was attended by 60 delegates from countries in Asia, namely Indonesia, Singapore, Thailand, Cambodia, Vietnam, Malaysia, India, Myamar and Bangladesh. Global Entrepreneurship Youth Summit 2019 brings forth ecosystem influencer, startup communities and industry leaders from across the globe to collaborate and find new innovative approaches to solve real problems and chart the way forward for entrepreneurs. The goals to empower young entrepreneurs around the world with groundbreaking ideas and collaborations to solve cross-border challenges, uncover new possibilities and develop revolutionary ideas and solutions, catalyzing innovation.